Abstract: Wiki mode as a new open-involvement and collaborative open knowledge management mode, is a typical innovation 2.0 mode in a knowledge-based society. 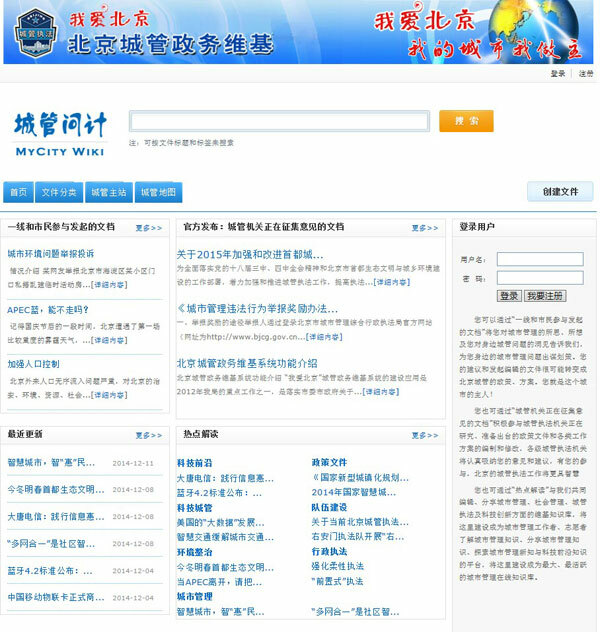 Beijing municipal administration and law enforcement authority piloted the wiki government mode in the government knowledge management by drawing on the technology of open document management. The business workflow as well as the system design of the government wiki based on open knowledge management is proposed. 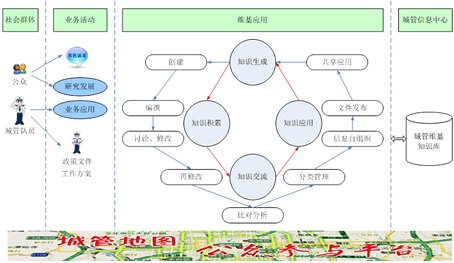 The practice of the “I Love Beijing” Government Wiki demonstrated that the government Wiki has helped to stimulate public participation, social cohesion and collective intelligence for better governance. It is a typical Government 2.0 practice. It will push forward the research and practice of open government knowledge management and collaborative democracy in the era of innovation 2.0. Beth Simone Noveck. Wiki Government How Technology Can Make Government Better, Democracy Stronger and Citizens More Powerful [M]. U.S：Brookings Institution Press，April 13, 2009. Ines Mergel. Using Wikis in Government: A Guide for Public Managers [M]. IBM Center for the Business of Government. http://www.businessofgovernment.org/report/using-wikis- government-guide-public-managers. Kevin R. Kosar, Karl T L. Collaborative Democracy on the Move. Public Administration Review, 2010, 70(4). 宋刚,董小英,刘志,赵文漾,赵云丰. 基于开放知识管理的政务维基系统设计及应用[J]. 办公自动化, 2015, (1): 40-48. SONG Gang, DONG Xiaoying, LIU Zhi, ZHAO Wenyang, ZHAO Yunfeng. Design and Application of Government Wiki Based on Open Knowledge Management. Office Infromatization, 2015, No. 1, pp.40-48.